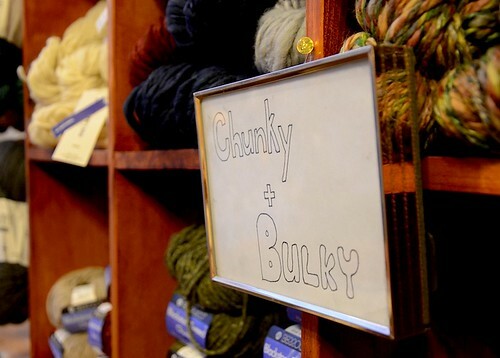 If you are me, when you walk into a yarn shop you are filled with great desire to hug all of the yarn. Then, once the initial euphoria fades, you start doing a mental catalogue of yarn weights and colours on the shelves, vis-a-vis what kind of yarn you want to buy and what kind of project it is going to be for. (Or you might just buy yarn not knowing what you’re going to make with it. I hear that sometimes happens).